I hope your holiday is going well. I'm still with Miss Ash in Toulouse and I'm enjoying the sunny weather in the daytime, but it's a bit frosty for my night-time digging! 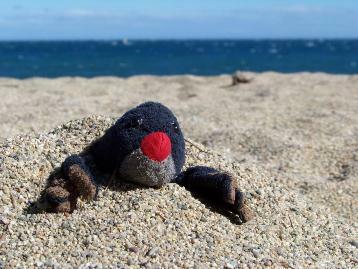 Some people think that moles hibernate (have a long sleep) in the winter but it's not true so I'm as busy as usual. I visited the Christmas market in Toulouse last week and was fascinated by all the delicious smells. Miss Ash took Finn, my cousin, and me on the merry-go-round in Place Wilson. We loved it! I rode on a horse that went up and down and Finn sat on a chair that spun around. Yesterday we all went for a big long walk along the river Garonne. It was very muddy but sunny and quiet. We did see some other people though; some mud-coated cyclists, a girl riding a horse (a real one not a merry-go-round one) and two big boys playing on a quad bike. When we got home we watched ‘The Borrowers’ and played a board game called Blockus. Have you been playing any board games? Finn goes home tomorrow and I’ll really miss him. Molly and Edna left yesterday. During her stay I asked Edna about traditional clothes from Japan and she showed me this picture. 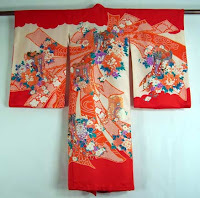 It is called a kimono. 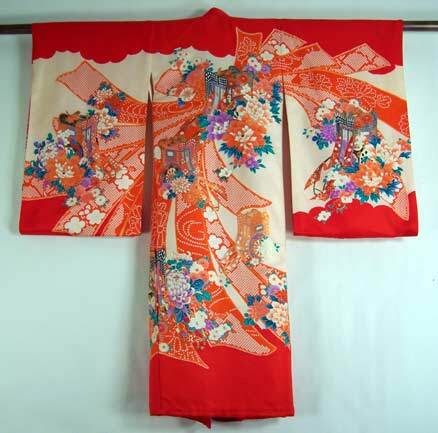 Kimonos used to be worn by men, women and children but now they are mainly worn by women on special occasions. Would you like to wear a kimono? I hope you have been having a good time with your family. First of all I went to the Pyrenees and I saw father Christmas in the hotel. He gave me some presents before dinner. I gave him an enormous hug. Next day I went to Spain, and I saw my cousins and I play in the park with spider webs. Every days I wrote a book of a bad wizard. I have finished my book this week and I will show it to you. I am so impressed that you have been writing a book! Please remember to bring it in to show me, I can't wait. Are there pictures and words in your book? Enjoy your New Year celebrations. We are getting ready for a party!! I went to the snow with Gustavo, and he didn't want to build a snowman. Then I built it with my Dad. The snowman had four big balls of snow, and he had a really funny nose made of a stone. I went to Spain and I saw my cousins. I played with them every days. I slept with my cousin Luisa and that was really funny because I could talk with her all the time. What a lovely comment, Miguel. It's nice to hear about your holidays and especially about how you built your snowman. I hope you took some pictures! I hope you are having a great time. I had a great Christmas but since then we have been busy packing because today we move to a hotel. I am excited that I am going on some big planes soon but I will miss you. I'm glad you have great vacations! I´d miss you and I'm happy to return to school and see my friends, mrs Ash and you! Maybe you need a sweater, I don´t want you to catch a cold!